As William Tringali mentioned last week, 2019 marks an exciting shift in copyright law with hundreds of thousands of works entering the public domain every January 1st for the next eighteen years. We are setting our clocks back to the year of 1923—to the birth of the Harlem Renaissance with magazines like The Crisis, to first-wave feminists like Edith Wharton, Virginia Woolf, and Dorothy L. Sayers, back to the inter-war period. Copyright librarian Sara Benson has been laying the groundwork to bring in the New Year and celebrate the wealth of knowledge now publicly available for quite some time, leading up to a digital exhibit, The Sweet Public Domain: Honey Bunch and Copyright, and the Re-Mix It! Competition to be held this spring. 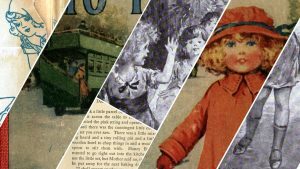 A collaborative effort between Benson, graduate assistants, and several scholarly contributors, The Sweet Public Domain celebrates creative reuse and copyright law. Last year, GA Paige Kuester spent time scouring the Rare Book and Manuscript Library in search of something that had never been digitized before, something at risk of being forgotten forever, not because it is unworthy of attention, but because it has been captive to copyright for so long. We found just the thing—the beloved Honey Bunch series, a best-selling girls’ series by the Stratemeyer Syndicate. 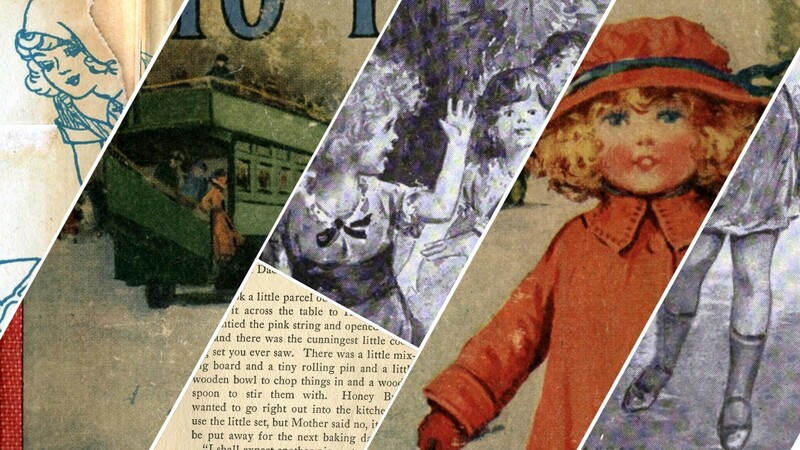 The syndicate become known for its publication of Nancy Drew, the Hardy Boys, the Bobbsey Twins, and many others, but in 1923 they kicked off the adventures of Honey Bunch with Just a Little Girl, Her First Visit to the City, and Her First Days on the Farm. Through the digital exhibit, The Sweet Public Domain: Honey Bunch and Copyright, you can explore all three books, introduced by Deidre Johnson (Edward Stratemeyer and the Stratemeyer Syndicate, 1993) and LuElla D’Amico (Girls Series Fiction and American Popular Culture, 2017). To hear more about copyright and creative reuse, you can find essays by Sara Benson, our copyright librarian, and Kirby Ferguson, filmmaker and producer of Everything is a Remix. If you are a student at the University of Illinois at Urbana-Champaign, you can engage with the public domain by making new and innovative work out of something old and win up to $500 for your creation. Check out the Re-Mix It! Competition page for contest details and be sure to check out our physical exhibit in the Marshall Gallery (Main Library, first floor east entrance) for ideas. A Beautiful Year for Copyright! Hello, researchers! And welcome to the bright, bold world of 2019! All around the United States, Copyright Librarians are rejoicing this amazing year! But why, might you ask? 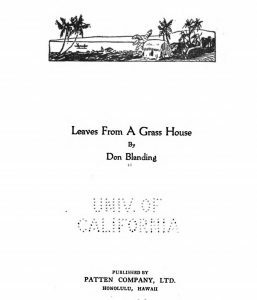 Well, after 20 years, formally published works are entering the public domain. 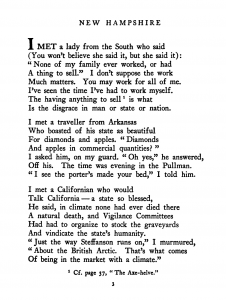 That’s right, the amazing, creative works of 1923 will belong to the public as a whole. 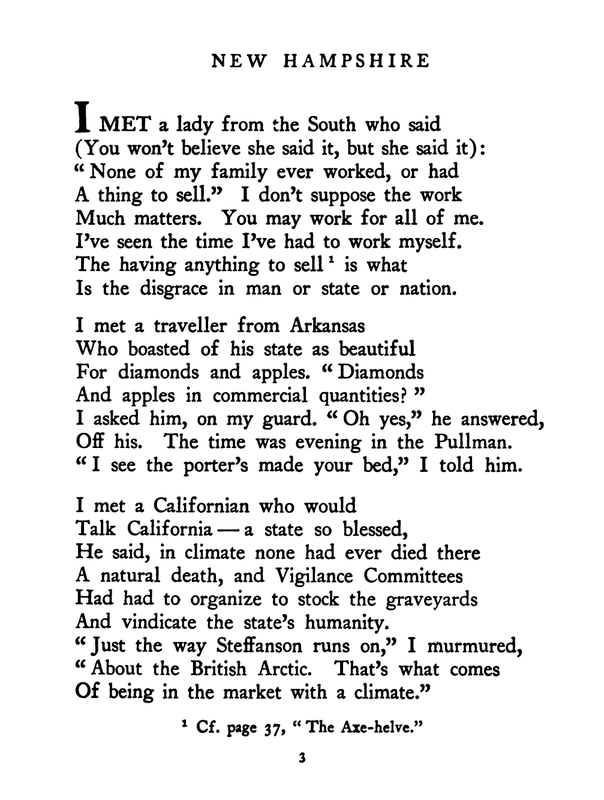 Though fascinating works like Virginia Woolf’s Jacob’s Room are just entering the public domain Some works entered the public domain years ago. The holiday classic “It’s a Wonderful Life”, entered the public domain because, according to Duke Law School’s Center for the Study of the Public Domain (2019), its copyright was not renewed after its “first 28 year term” (Paragraph 13). Though, in a fascinating turn of events, the original copyright holder “reasserted copyright based on its ownership of the film’s musical score and the short story on which the film was based” after the film became such a success. (Duke Law School’s Center for the Study of the Public Domain, 2019, Paragraph 13). But again, why all the fuss? Don’t items enter the public domain ever year? That answer is, shockingly, no! Though 1922 classics like Nosferatu entered the public domain in 1998, 1923’s crop of public domain works are only entering this year, making this the first time in 20 years a massive crop of works have become public, according to Verge writer Jon Porter (2018). This was the year lawmakers “extended the length of copyright from 75 years to 95, or from 50 to 70 years after the author’s death” (Porter, 2018, Paragraph 2). 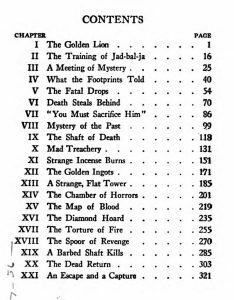 What’s most tragic about this long wait time for the release of these works is that, after almost 100 years, so many of them are lost. Film has decayed, text has vanished, and music has stopped being played. We cannot know the amount of creative works lost to time, but here are a few places that can help you find public domain works from 1923! Duke Law School’s Center for the Study of the Public Domain has an awesome blog post with even more information about copyright law and the works now available to the public. 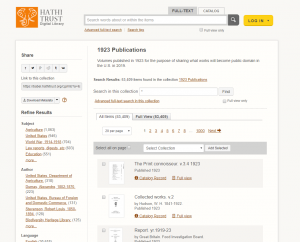 If you want to know what’s included in this mass public domain-ifying of so many amazing creative works book-wise, you can check out HathiTrust has released more than 53,000 readable online, for free! 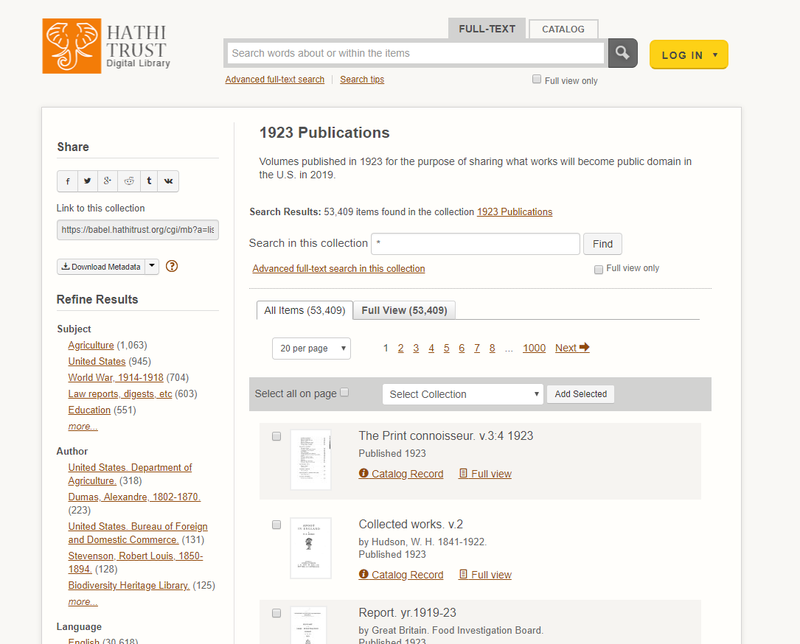 Screenshot of the HathiTrust search page for items published in the year 1923. 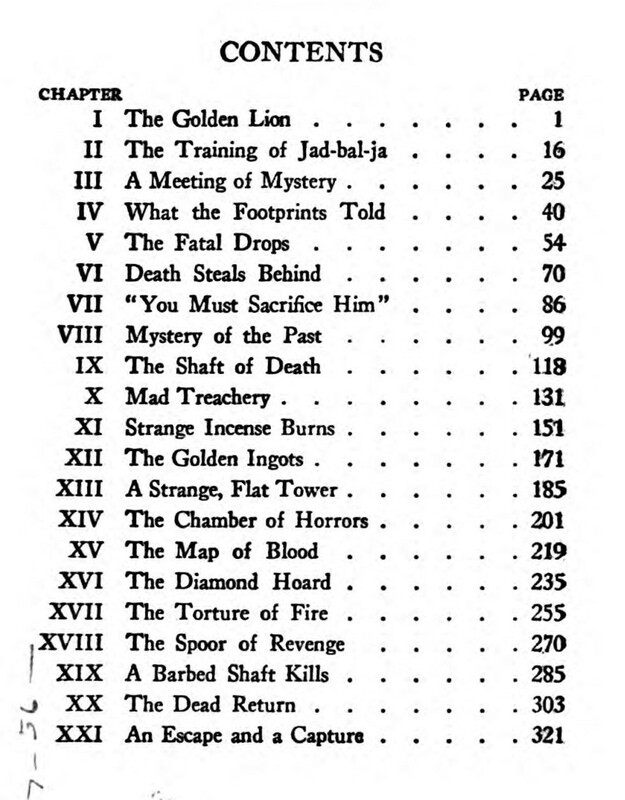 Finally, the Public Domain Review has a great list of links to works now available! 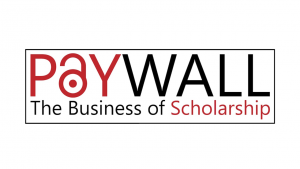 Help us celebrate Open Access Week by joining us for a free screening of Paywall: The Movie on October 24th at the Independent Media Center from 7 – 9 pm hosted by the Scholarly Communication and Publishing Unit at the University of Illinois Library. The screening will be followed by a discussion moderated by Sara Benson, the Copyright Librarian, with panelists Sheldon Jacobson, Andrew Suarez, David Rivier, and Maria Bonn. Full information about the event is available at this web address! 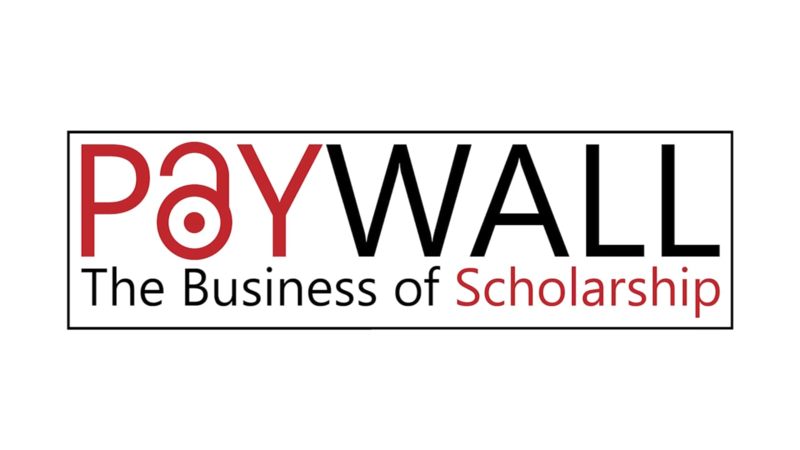 Paywall’s director, Jason Schmitt, estimates that scholarly publishing is a US $25.2-billion-a-year industry, a figure bolstered by soaring profit margins of 33% (compared to Walmart’s 3%, as cited by the filmmaker). This for-profit publishing model is further complicated by the fact that while most academic research is funded by the public, the articles remain behind expensive paywalls. Schmitt says, “This profit has an implication—it limits amount of individuals around the globe who can solve the world’s most complex problems, and that affects us all.” The film specifically looks at how paywalls impact the global south, as a 2001 World Health Organization (WHO) survey found that 56% of research institutions in low-income countries did not have any subscriptions to international scientific journals. We look forward to the screening and we hope you will join us next Wednesday at the Independent Media Center! Sheldon Jacobson is a professor of computer science at the University of Illinois at Urbana-Champaign, applying research and advanced analytics to address societal issues facing our nation. His recent article, “Push Versus Pull,” in Communications of the ACM looks at some of the problems with open access publishing. Andrew Suarez is an associate professor of Animal Biology at U of I, focusing on the social organization and developmental plasticity of insects to address the fundamental questions in ecology, evolution, and behavior. 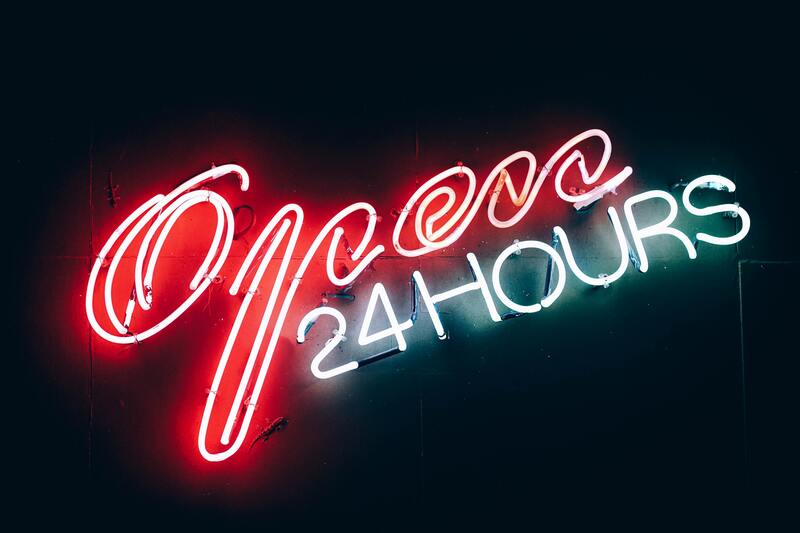 His article, “The Fallacy of Open Access,” in the Chronicle of Higher Education addresses solutions we should be seeking in addition to open access publishing. David Rivier, associate professor of cell and developmental biology at U of I, brings expertise in bioinformatics and scholarly publishing within the sciences. Maria Bonn, an associate professor at the ISchool, previously served as the associate university librarian for publishing at the University of Michigan Library and was responsible for initiatives in publishing and scholarly communication. Her research remains focused in that area as well as networked communication and the economics of information. Among her contributions to the open access conversation are, “Free exchange of ideas: Experimenting with the open access monograph” (College and Research Library News, 2010) and “Maximizing the benefits of open access: Strategies for enhancing the discovery of open access content” (College and Research Library News, 2015). 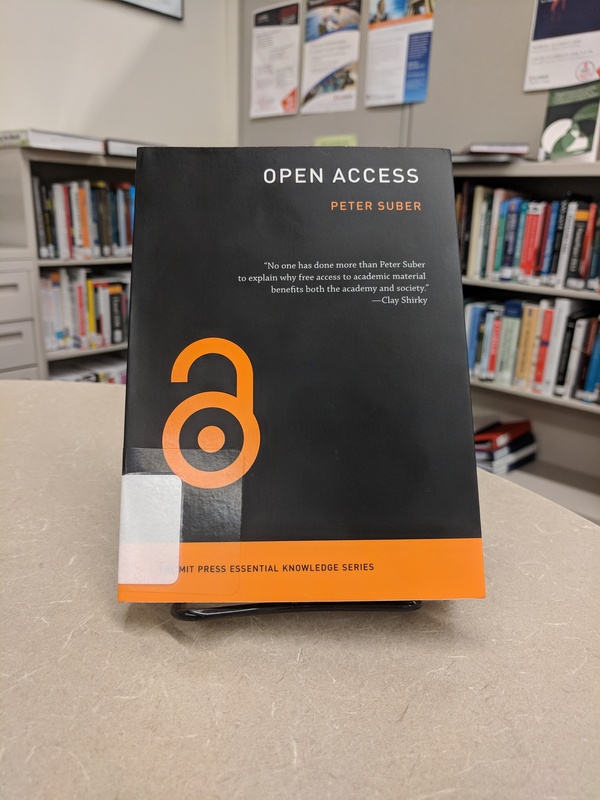 Peter Suber is the Director of the Harvard Office for Scholarly Communication; Director of the Harvard Open Access Project; and, among many other titles, the “de facto leader of the worldwide open access movement.” In short, Suber is an expert when it comes to open access. Thankfully, he knows the rest of us might not have time to be. 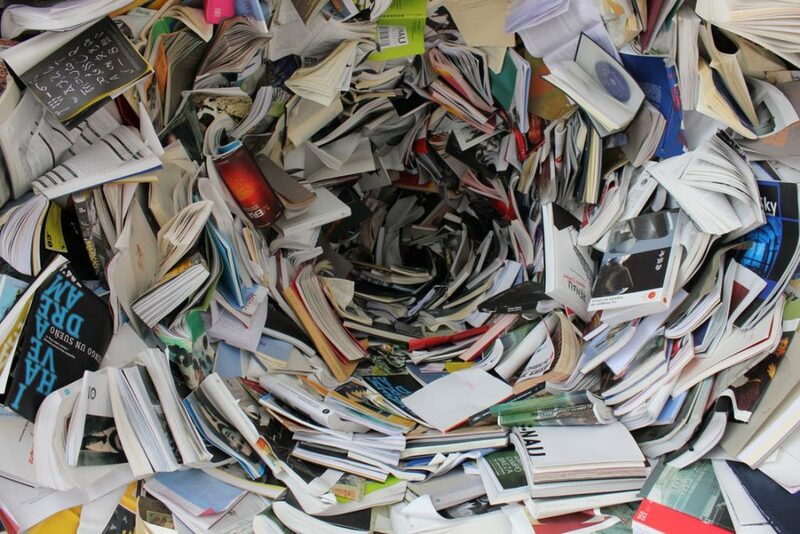 What follows is an informative yet concise read on the broad field of open access. Suber goes into the motivation for open access, the obstacles preventing it, and what the future may hold. In clear language, Suber breaks down jargon and explains how open access navigates complex issues concerning copyright and payment. This is a great introductory read to an issue so prominent in academia. Take the time to fit Open Access into your busy schedule. You can read it the Scholarly Commons during our regular hours or online through our catalog anytime. And finally, if you have any questions about open access, feel free to reach out to or request a consultation with the library’s Scholarly Communication and Publishing unit! 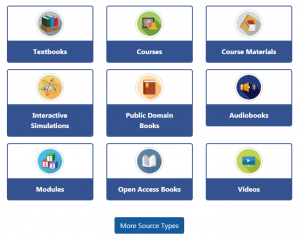 Open Educational Resources (OER) are teaching, learning, and research resources that reside in the public domain or have been released under an open license so they are free to access, use, remix, and share again. Source: The Review Project. For more information about OER, the University of Illinois’ guide is available online. Last year, the Common Knowledge blog discussed the cost of OER to professors and institutions in grants, time, sabbatical funding, and more. Yet professors felt that the main barrier between OER and the classroom were not these hidden costs, but rather lack of awareness, the difficulties of finding texts to use, and the monumental task of evaluating the texts and tools they did find. The U.S. Public Interest Research Group’s study, “Fixing the Broken Textbook Market,” determined that many students chose not to buy their textbooks due to the costs despite concern for their grade, and felt that they would benefit from open resources. Even as textbook costs have skyrocketed and faculty awareness of OER continues to increase, only 5.3% of classrooms are using open textbooks. Enter OASIS (Openly Available Sources Integrated Search), a search tool recently developed and launched by SUNY Geneseo’s Milne Library. OASIS addresses the main frustration expressed by faculty—how do I know what I’m looking for? Or even what open sources are out there? The easy-to-use interface and highly selective nature of OASIS are both evident from the front page. At the outset, users can start a search if they know what they’re looking for, or they can view the variety of OER source types available to them—textbooks, courses, interactive simulations, audiobooks, and learning objects are just a few of the tools one can look for. Users can also refine their search by the source, license, and whether or not the resource has been reviewed. For those who need a text which has already been evaluated, this certainly helps. At launch, there are over 150,000 items available coming from 52 different sources like Open NYS, CUNY, Open Textbooks, OER Services, and SUNY. And, as a way to increase awareness of the tool and open resources, OASIS also created a search widget that libraries and other institutions can embed on their webpages. OASIS is one step closer to getting OER into the classroom, providing equal access and increasing the discoverability of texts. It doesn’t matter if you’re a student, a scholar, or just someone with a blog: we all run into issues finding images that you’re allowed to use on your website, in your research, or in an advertisement. While copyright laws have avenues for use, it’s not guaranteed that you can use the image you want, and the process of getting access to that image may be slow. That’s why looking at images with a Creative Commons license are a great alternative to traditional copyrighted images. Attribution: The most lenient license. The attribution license lets others do what they please with your work, so long as they credit the original creator. Attribution-ShareAlike: Similar to the attribution license, though all derivatives of the original work must be licensed under identical terms to that original. Attribution-NoDerivs: This allows others to use the work as they please, so long as they do not change or manipulate it, and credit the creator. Attribution-NonCommercial: This license allows people to use and tweak the work freely, except for commercial enterprises. The derivative works do not have to be licensed under identical terms. Attribution-NonCommercial-ShareAlike: Same as above except derivative works must be licensed under identical terms. Attribution-NonCommercial-NoDerivs: The most restrictive license. Others may download the work, but they cannot change them or use them commercially. All-in-all, most Creative Commons works have “some rights reserved.” As a consumer, you have the responsibility to look up license of any Creative Commons work you hope to use (which isn’t very hard – most of the time any limitations are listed). The only stipulation on this image is that I must provide proper attribution. “Albert Cavalier King Charles Spaniel” was taken by Glen Bowman on July 21, 2013 and is hosted on flickr.com. 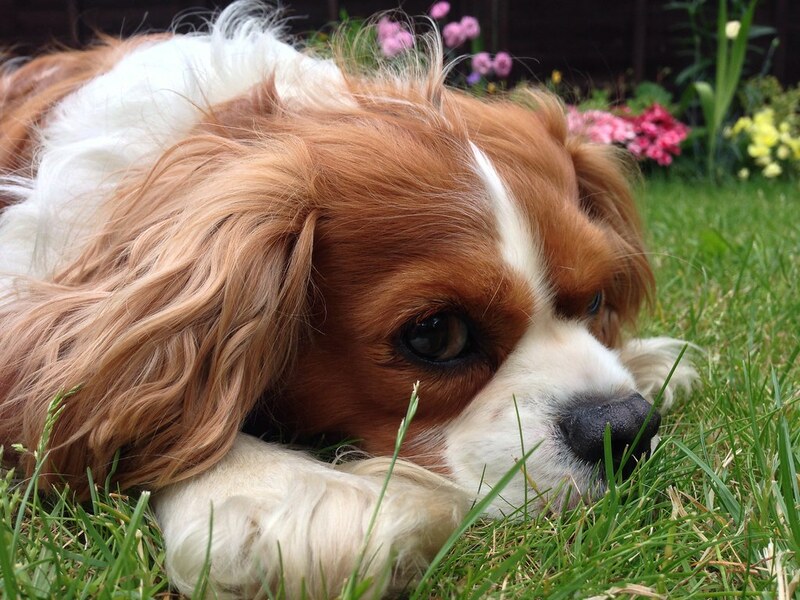 This image of a Cavalier King Charles Spaniel only requires creator attribution. It can be used commercially so long as I acknowledge Glen Bowman, the photo’s creator. So if I so chose, I could hypothetically edit this photo to use as a welcome banner on my Cavalier King Charles Spaniel appreciation blog, include it in a PowerPoint I use for my veterinary school class, or copy it in an advertisement for my dog-walking business. This Creative Commons licensed image requires proper attribution. “Cavalier King Charles Spaniel” was taken by James Watson (kingjimmy81) on August 17, 2013, and is hosted on Flickr.com. 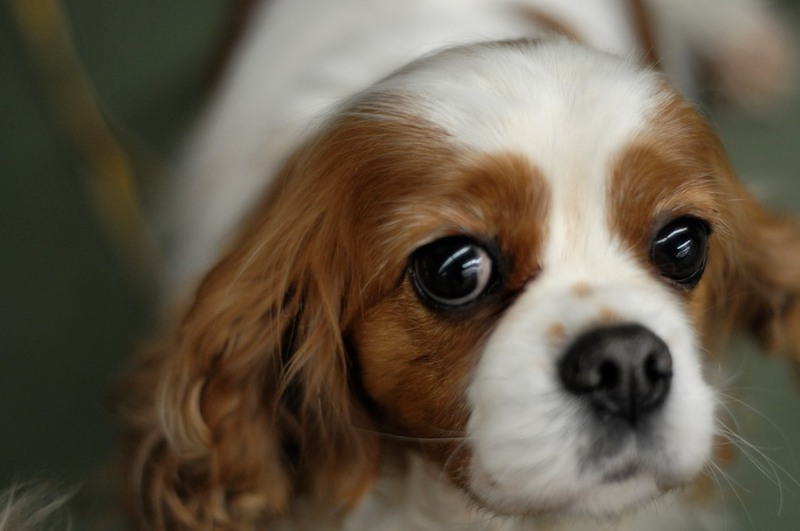 This image of a Cavalier King Charles Spaniel has a more restrictive license than the above image. You can share the image in any medium or format, but you must give appropriate credit to James Watson, the creator. You cannot use it commercially, and you cannot distribute derivatives of the photo. So I could include this on my Cavalier King Charles appreciation blog with proper attribution, but could not edit it to make it into a banner on the homepage. And while using it in my veterinary school PowerPoint is still okay, I could not use it in an advertisement for my dog-walking business. 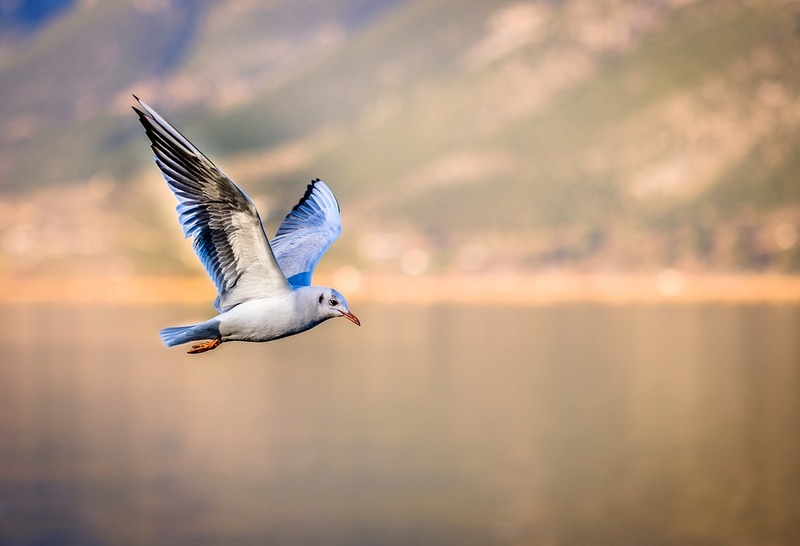 If you’re interested in finding Creative Commons works, you can use the Creative Commons Search function, which links up to various search engines, including Google, Google Images, Wikimedia Commons, and Flickr. If you’re interested in learning more about Creative Commons licenses, check out the Scholarly Commons’ Creative Commons basics page, as well as our use/creation of Creative Commons licenses page. If you’re interested in learning more about intellectual property in general, visit the Main Library’s Intellectual Property LibGuide, or get in touch with the library’s copyright specialist, Sara Benson (srbenson@illinois.edu). As a former art history student, I’m incredibly interested in the how the study of art history can be aided by the digital humanities. 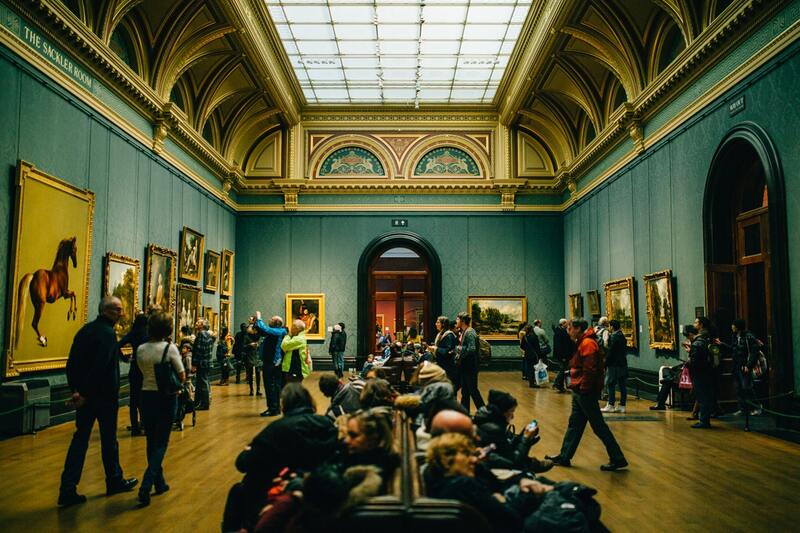 More and more museums have started allowing the public to access a portion of their data. 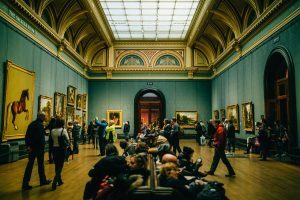 When it comes to open data, museums seem to be lagging a bit behind other cultural heritage institutions, but many are providing great open data for humanists. For art museums, the range of data provided ranges. 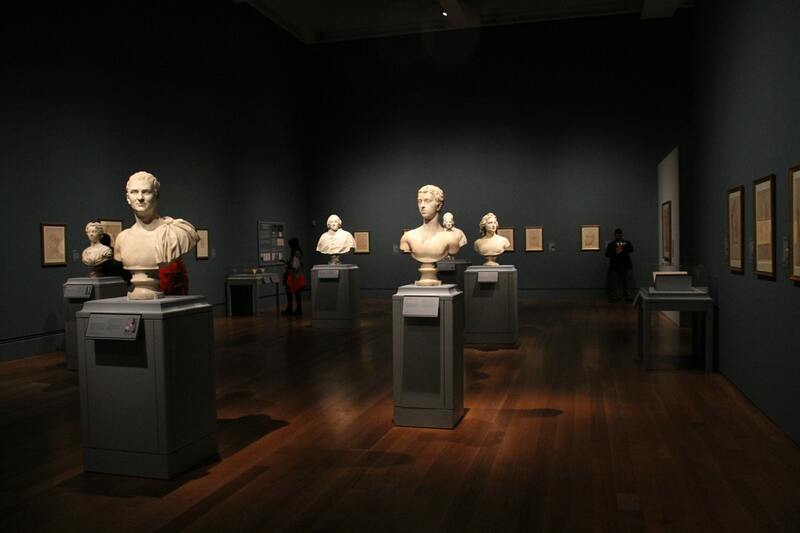 Some museums are going the extra mile to give a lot of their metadata to the public. 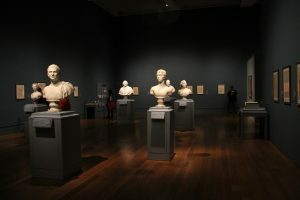 Others are picking and choosing aspects of their collection, such as the Museum of Modern Art’s Exhibition and Staff Histories. 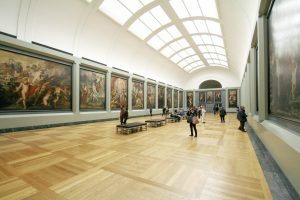 Many museums, especially those that collect modern and contemporary art, can have their hands tied by copyright laws when it comes to the data they present. 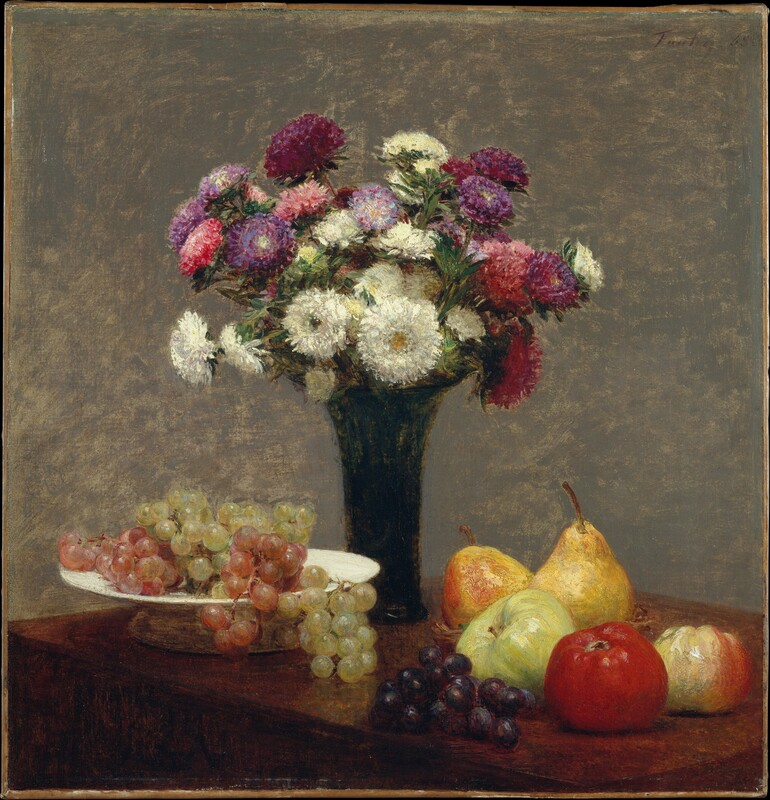 A few of the data sets currently available from art museums are the Cooper Hewitt’s Collection Data, the Minneapolis Institute of Arts metadata, the Rijksmuseum API, the Tate Collection metadata, and the Getty Vocabularies. The Metropolitan Museum of Art has recently released all images of the museum’s public domain works under a Creative Commons Zero license. More museum data can be found here! This post was guest authored by Scholarly Communication and Publishing Graduate Assistant Paige Kuester. The modern research landscape is an asset for biologists, zoologists, conservationists, etc. They can track animals, check up on them, figure out what is helping or harming their environment, and report or adjust accordingly. They tag animals and create twitter handles for them to tweet out their location (source). They can also create crowdsourcing research methods in order to utilize the interest of the public. And with open access, researchers can easily pass this information on to the public, so that they can create even more awareness and participation, too. Maybe not. Think about who else has access to that information. Poachers. Yes, we are still living in an age of poachers. This isn’t just your Tarzan poachers tromping through the jungle, though there is still some of that. This is much more threatening. Poachers don’t have to track animals anymore, because scientists are doing that for them. Poachers can just gather data posted online through open access sources, and plan out their trip. Crowd-sourced research and tourists apps can also provide this information. If poachers are really nifty, they can tap into radio signals and the like that are sending out locations from the animal tags to the researchers. One way that researchers can combat this is to not post such specific locations and data on animals that are likely to be poached, especially when publishing with an open access journal. Those in charge of apps can not make information about endangered species publicly available. It is a little more difficult to deter signal hackers, but monitoring and adding more security to these is one way to curb this unfortunate trend. Open access is great, spreading information about awesome and endangered animals is great, but leaving them vulnerable to exploitation is not so much. It is a bit like Facebook. Sharing your location and your Friday night plans may be fine when you know it is just your friends seeing this information, but when making it public, maybe don’t advertise that you are going to out of your apartment for weeks on end, leaving your valuables alone and unmonitored. While animal privacy rights are not yet a thing, a little courtesy can go a long way in protecting those who don’t have a say. 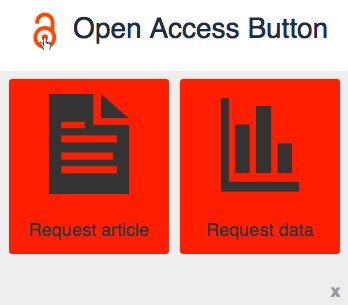 Open Access Button v. Unpaywall: Is there a Winner? A few months back, the Commons Knowledge blog featured a post about a new feature from Impactstory called “Unpaywall.” Read that article here. This is still a relatively new tool that aims to find open access versions of articles if they are available. You can click on the lock that shows up on an article’s page if it is green or gold, and Unpaywall will take you to an OA version of that article. If only a grey lock shows up, then there is no OA version of that article that this feature can find. 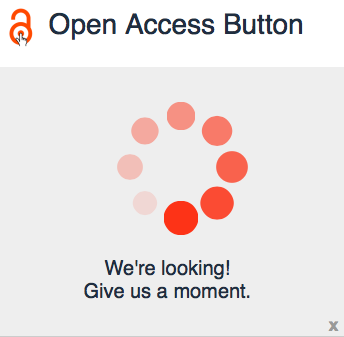 Similarly, the Open Access Button’s goal is to get you past paywalls. This is an older extension than Unpaywall, but is still being updated. This one works by bookmarking the button, and once you happen upon a paywalled article, you click on that bookmark. It also has a feature for when the article is not available: emailing the authors directly. The authors are then encouraged to deposit their articles in a repository, and either send a link to that or send the article directly to OAB so that they can upload it to a repository. Of course, if the author’s rights contract does not allow them to do this, then they can decline. OAB is also working with interlibrary loan departments in order to utilize this tool in those systems, which is supposed to eventually reduce the cost of sending articles between libraries. I decided to test out the Open Access Button in order to write a fantastic blog post about it and how it compares to Unpaywall, and honestly, I came out a bit disappointed. Maybe I just picked the wrong articles or topic to search for, or I’m just unskilled, but I had little success in my quest. My first step was to install OAB, which was easy to do: I just dragged the button to my bookmarks for it to chill there until I needed it. I used Google Scholar to search for an article that I did not have access to through the University. We do have a lot of articles available, but I did manage to pin one down that I could not get the full text for. So I went to the page. And then it loaded. For quite a while. The article wasn’t available. But it gave me the option to write a note to the author to request it, like I mentioned above. Awesome. I wrote my note, but when I went to send it off, I arrived at another page asking me to supply the author’s email and the DOI of the article. Okay, fine. So I searched and I searched for the first author but to no avail. I did, however, find the second author’s email, so I put that in the box. Check. Next, the DOI. I searched and I searched and I looked up how to find an article’s DOI. Well, my article was from 1992 so the reason I couldn’t find one was probably because it didn’t have one. There was no option for that, so what next? I installed Unpaywall to see if I would have more success that way. First, I had to switch from Safari to Chrome because Unpaywall only works on a couple of browsers. It was also easy to install, but I could not get the lock to show up in any color on the page, which is something that has happened to me many times since, also. I ended up interlibrary loaning that article. Additional experiences include OAB saying that I had access to an article, but sending me to an institutional repository that only members of that school could access. Unpaywall was more truthful with this one, showing me a grey lock. Another article let me send a message to the author in which they had thankfully found the author’s emails themselves, but I never heard a response back. Unpaywall would not show me any type of lock for this one, not even grey. Both of these applications are still rather new, and there are still barriers to open access that need to be crossed. I will continue to try and implement these when I come across an article that I don’t have access to because supporting open access is important, but honestly, interlibrary loan was much more helpful to me during this venture. Where Does Sci-Hub Fit In? Open access is not as simple as it may seem. 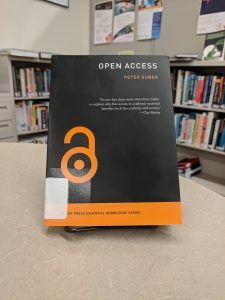 In addition to conflicting definitions of open access itself, there are many different kinds, which may or may not follow the definitions previously put forth. There are three basic types that scholars discuss: gold, green, and hybrid, which are defined in this LibGuide. There are also the colors that authors utilize to describe a category that does not fall under the three listed above, including but not limited to: bronze, diamond/platinum, and blue, white, and yellow. And then there’s a whole category, black, just for Sci-Hub. Okay, it’s not just for Sci-Hub, it also includes other platforms like ResearchGate and the like, where articles are freely shared by authors, but mainly, it’s for Sci-Hub. Now keep in mind that most of these terms and definitions are up for debate, so take it all with a grain of salt. The first question is: is Sci-Hub even open access? If we are defining OA as freely available, then the answer would probably be “yes.” However, if we are defining OA as “legally” and freely available, then probably not. It does not following licensing laws, it is often unavailable, and the content is usually from subscribed entities meaning that someone is still paying somewhere, according to this article by Angela Cochran, of The Scholarly Kitchen. Actually, the real first question is: What is Sci-Hub? Sci-Hub is a website that was started in 2011 by Alexandra Elbakyan, a then-Kazakhstani graduate student who was tired of facing paywalls for articles that she could not get access to (which is something we can all relate to, honestly). So she created a way around it with Sci-Hub, which grabs articles behind institutional and publisher paywalls and makes them freely available. If it does not already have an article, it will retrieve it for you and make it accessible to others. This, of course, has varying consequences across the board. So who is it hurting? Obviously, publishers like Elsevier don’t like it. They aren’t getting paid for the articles that they provide access to. In fact, they have already sued Elbakyan and won, which caused the website to shut down temporarily, until it popped back up under a different domain. This is an ongoing battle. Even open access Publishers may be harmed in the process, says Cochran again. Though open access articles are already openly available, open access platforms traditionally also informs readers of what they can do with the work, like reuse, revise, retain, remix, and redistribute. This information is valuable to both the reader and the publisher, as the reader knows the rights regarding the work, and the publisher does not get this work used unfairly. This is lost on Sci-Hub. Additionally, OA publishers lose income by not keeping people on their sites to buy other products or services, it hides the real costs of OA publishing, and Sci-Hub does not give researchers the full picture of the article, just the text itself, no comments or retractions (or stated rights) attached. Authors and researchers seem to be stuck in the middle. They cannot get an accurate picture of their article’s citation impact because Sci-Hub does not provide download counts for the authors, and most reputable citation indices would not calculate Sci-Hub downloads into them, anyways. However, as many of the main users in the US appear to be around college campuses, in all likelihood, there are researchers who are accessing articles this way, if for nothing else than convenience. Similarly, students are still utilizing this site even if their institutions do have access to the articles. This is true even when the articles are open access, which makes it very clear that part of the appeal is convenience–not having to log in using credentials, for example. This is the trickiest question of all. There are a lot of opinions about Sci-Hub, but there are not many answers. If you are for open access, then the best way to reduce the threat of Sci-Hub against open access is to publish and access articles through those OA routes. The OA model can’t sustain itself if it does not have support. But if the knowledge needed is not accessible through OA means, then that is another question entirely. Librarians are torn on this issue, and time will tell how the publishers come out in this legally. However, it is very unlikely that Sci-Hub, or sites like it, will go away anytime soon. The Scholarly Commons is located in 306 Main Library. We are open Monday - Friday from 9 a.m. - 6 p.m.
We welcome walk-in questions about our services -- data analysis, GIS, digital humanities, copyright, intellectual property rights, digitization, OCR, and software usability testing.